Whether you are starting your business now or already building one, the most important thing you can do to reach your goals is to just keep moving forward. Get started and don’t give up. Take one step at a time and try to do something to move your business forward everyday, every other day, or every week. 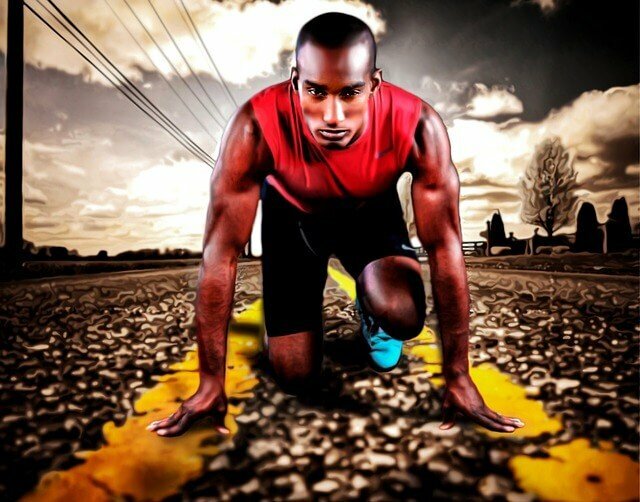 Think of this as a marathon not a sprint. It may take a year or two or even five, but if you keep moving forward, you will make it. These are the most common psychological roadblocks that keep most entrepreneurs from reaching their goals. Overcoming these obstacles can be difficult even for the most seasoned business owners. However, one thing that successful entrepreneurs have in common is their ability to fight through these and continue moving forward even when things don’t go according to plan. They don’t accept failure and they don’t give up. Check out the biographies of famous entrepreneurs and read how they overcame great obstacles to achieve success. There are many tools and techniques that can help you stay on your path and not get overwhelmed. Check out the free tool Trello for setting goals and creating checklists. Read my article on Trello here. Download and start using this free program to set up your goals. It’s very easy to use and it’s a great way to get organized and get moving. You can check off each step along the way. I have been using Trello for years, and I can’t imagine life without it. Knowing what success will look like for you will help you create a road map that gets you there. This is essential for your future happiness and will help you avoid the risk of creating a business you don’t like or even hate. The most important step is to think about what you want your business to look like and make sure it fits well with your goals and lifestyle. Most of us know what is appealing about being your own boss. By eliminating the middleman – your employer, you not only can double or triple your income but also have the freedom of a flexible schedule. However, there is more to consider when you are making the decisions about what this will actually look like for you. How much money do you need or want to make? How many hours do you want to work? Do you want a part-time out-call business or a spa with 30 employees? Whatever you decide, think of what will be required and if you will be happy in this future reality. Is money or spending time with your family your highest priority ? These are the things that you should consider. 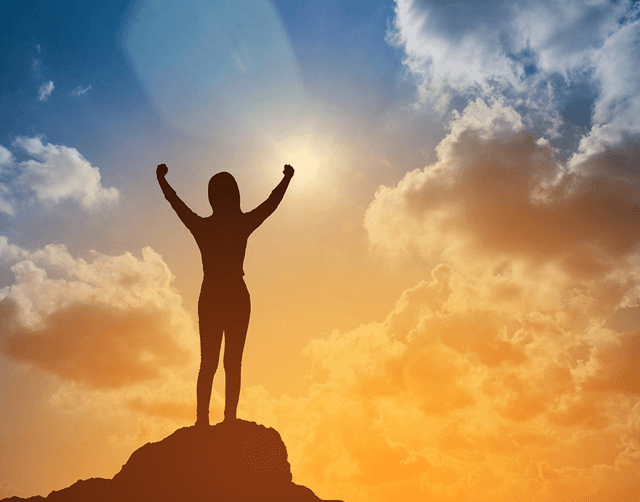 What does success look like for you? Google docs is my favorite word processing program and what I would recommend using for creating your business plan. You can use Microsoft Word if that’s what you have or you could even use the Trello program mentioned in the last step. Create a business plan to map out your goals. This can be just a few lines jotted down on a Google doc or an elaborate business plan that you will present to potential investors. The most important thing is to think about what you want your massage business to be, so when you get there, you will be happy with the results. Customer trust is built based on how your business is perceived and can be a very important part of building your practice. You want a potential customer to be impressed by their initial experience and interaction with your business. This is accomplished with your brand, and the elements of your brand can have a dramatic effect on the level of your success. The power of a well thought-out brand should not be underestimated. New potential customers are especially affected by your brand and will pick you over your competition based on what they see. One essential way of getting a potential customer to choose you for their next massage is by creating trust and is accomplished by projecting professionalism. Correctly naming your business: Your business name is the first thing a customer sees and can have a big effect on how you are perceived. Creating a professional logo: A well thought-out and professional looking logo can instill instant trust in your business and give you an advantage over your competitors. 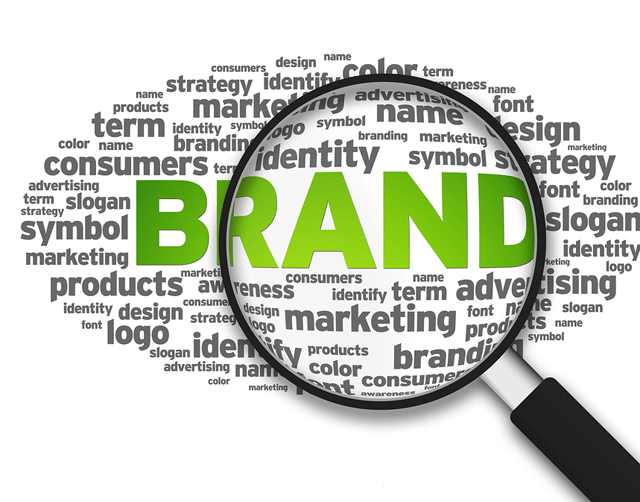 Establishing your brand identity: The colors, images, layout, and message contained in your marketing is also a big part of your brand and can impact customer trust. When you are ready to have a professional logo created I would recommend 99 designs. They are an online design company that I have used for my logos. They set you up with multiple designers, so you have lots of designs to choose from. They are reasonably priced and make the task of getting a professional logo fun and easy. 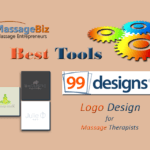 If you would like more information you can read my article, Best Massage Business Tools: 99 designs. Choosing the best name for your business can be a big first step in creating your brand. Take the next step by reading my article, Name Your Successful Massage Business, and find out the best practices for coming up with a great name for your business. Building your marketing structure is essential for bringing in new customers, which is the life-blood of any successful business. Massage entrepreneurs depend on a marketing strategy that doesn’t require a lot of money but includes a well thought-out plan. This can be done, but it takes time and skill to set it up correctly in a way that encourages engagement by potential customers and returning clients. Networking: It is time intensive but can be very productive. It requires a well thought-out strategy, commitment, and, of course, a professional looking business card. Social Media: It requires the correct set-up of sites and consistent engagement. Facebook, Twitter, Instagram, and Pinterest are a few of the most productive. A strategy of focusing on one or two works best. Online Search: It requires the set-up a professional website with basic SEO and the use of tools such as ‘Google My Business”. Getting yourself ranking high in organic results can be life-changing. Email Marketing: This is my favorite and, if done correctly, it can be extremely effective. I use ConvertKit for my business. Online Booking Program: Using an exceptional online scheduling program, like Massagebook, can be a great addition to your marketing portfolio. One of the first steps of building a website for your business is deciding on a hosting company. I believe Bluehost is the best and I have used them for many years to host all my websites. Your website is the main hub that all your marketing will pass through. If done correctly, it can build trust with potential customers along with giving your clients a place to connect with you and even book appointments. Take the step of reading my article ‘Massage Website Creation: Tips and Tools’ to get more information on where to start. Many of the therapists I’ve known over the years avoid this subject like the plague. However, taking the time to set up the financial structure of your business can make the difference between success and failure. Setting the correct prices for your services, understanding how value works and keeping track of your expenses are just a few of the critical elements of financial success. Setting Your Optimal Pricing: Many therapists tend to set their prices too low. There is a system I have developed for setting your pricing that can be helpful. Check out this website for this information. Understand Discounting: Giving price breaks on your services can be a tool for building your practice. However, if not done right, it can severely damage the value of your business. Make It Easy for Your Clients to Pay: Setting up this system correctly can have a big effect on client satisfaction and your bottom line. Keeping Good Financial Records: This is important for the health of your business and in keeping the IRS happy. 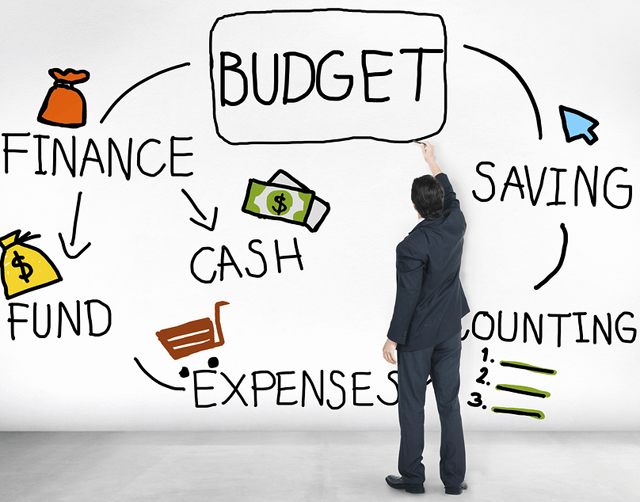 Tracking your expenses will also save you lots of money on your taxes. Keeping Your Business and Personal Finances Separate: Open up a separate business bank account. These are just a few of the steps you should consider for the financial well-being of your business. For more information read my article: 10 Hazardous Mistakes Massage Therapists Make with Money. If you are looking for a great way to keep track of your finances, then I would recommend Freshbooks. They are an online company that makes it very easy to set up everything you need to track your business finances. One of the best first steps you can do for the financial health of your business is to open up a separate bank account. Keeping your personal and business finances separate is essential. 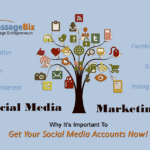 Read my article Get A Massage Business Bank Account For Free for more information. 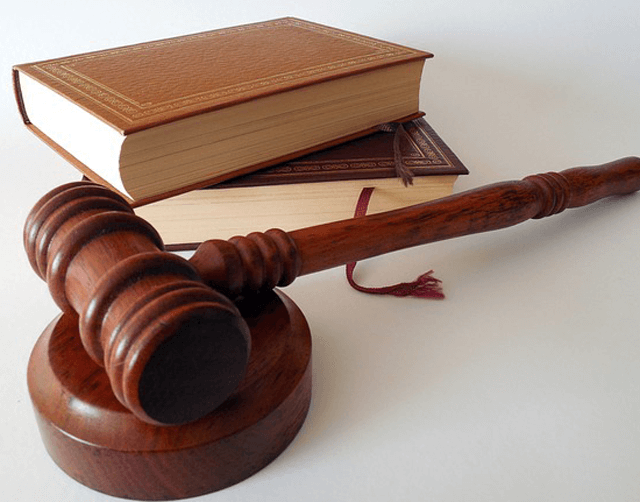 Protecting yourself from possible legal problems that could arise from your business should be a high priority. Taking the time to set up your business structure in a way that will protect you personally will help you avoid major headaches or even worse, a financial disaster. The things you need to do are not difficult, and the cost can be reasonable. Most of you know that malpractice insurance is a necessity whether you are working for someone else or for yourself. Many employers require you to have it in place before you even start work. If you have your own business, it’s even more important to have malpractice insurance before you start . If you don’t, you are playing with fire. One additional layer of protection that I highly recommend is to set up your business as an LLC. There are many benefits to forming an LLC, but the most important one is that it puts up a firewall between your business and your personal finances. Even though the odds of a someone suing your business is low, it only takes one lawsuit to potentially wipe you out. Running your business as an LLC keeps your personal assets protected from a judgement against your business. Note: Full disclosure – The above information is given based on my own experience and should not be confused with actual legal advice. Consult a business lawyer or an accountant for more information. For many, hiring a lawyer to handle your business formation can be too expensive. An alternative is the online business; Legalzoom. If you decide to form an LLc, Legalzoom can be a less expensive but legally sound way to accomplish it. I have used Legalzoom and my experiences with them have been excellent. They walk you through each step and are there for you if you have questions. I have two articles that will help you make the decision on what business structure is best for you. 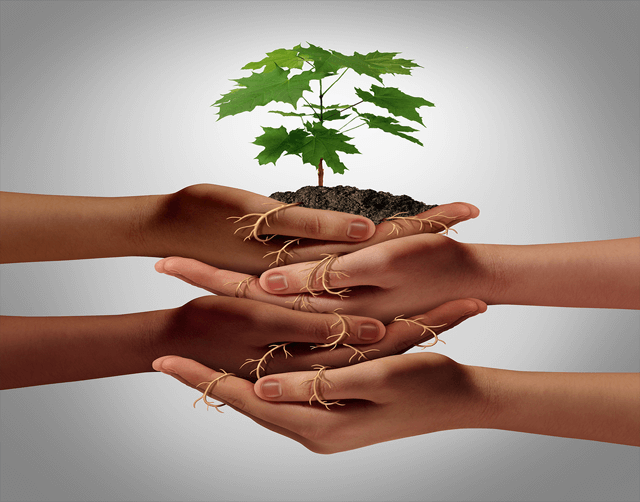 ‘Choosing the Best Massage Business Structure’ and ‘Set Up Your Massage Business LLC’. Take the next step and read the articles to learn about protecting you and your business. You already know intuitively that building a successful massage business requires you to get clients and keep them. However, did you know that attracting and holding on to clients has way more to do with the value you provide than the price you charge? The perceived value of your service can be based on many things and not just solely on how good of a massage you give. One of the biggest mistakes i see massage therapists make is feeling like they have to compete with every price they see out there no matter how low it is. Your price should be based on how much money you need to make after you have paid your expenses. Your competitors’ prices should be the last thing you look at when setting your prices. 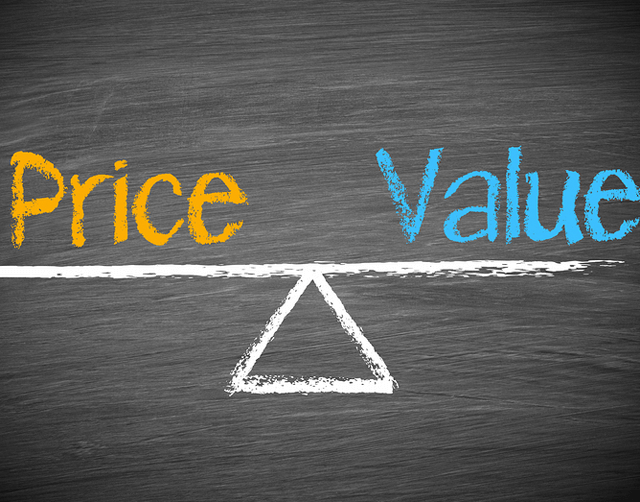 Once you’ve set your prices, then the next step is look at the value you can give your clients to justify those prices. What is value? Value can come in many forms that includes the massage that you give. Any extras that you provide, like hot towels, heating pads, aromatherapy, etc. How you interact with your client. Are you professional, attentive, timely, and responsive to their needs? Is their booking experience easy and professional? Is the way they pay effortless and include all options? Do you provide them with information and exercises that will help them between treatments? This is only a partial list of how you can provide value to your clients, but you can see the more you provide, the more devoted your clients will be to you. Providing a professional and easy way for your clients to book their appointments is essential to give value to them. Massagebook is by far the best program available, and I highly recommend checking it out. You can read my article ‘Best Massage Business Tools: Massagebook’ for more information. Take some time and think of all the ways you can provide value to your clients. Use the Trello program mentioned earlier to make a list that you can check off as you implement each one. Waiting for your clients to call you for an appointment is a path well traveled by many therapists and a good way to take forever to build your practice. However, contacting them in the wrong way with the wrong message can be even more damaging. There are many ways to get in touch with your customers and each one of them has ‘rules of engagement’ that could make or break your business. Before I get into the nuts and bolts of the ‘rules of engagement’ regarding contacting your clients, I’d like to make one important point. Providing value should always be your first choice. If you are perceived as a giver and not a taker, you will build trust with your clients and nothing will build your business faster. Phone: Answering and returning calls in a professional and prompt manner is very important. Cold calls to your clients trying to get them to book is a really bad idea unless you have a long-term relationship with them. Text: Same rules as calling your clients. It is a very bad practice to text ‘deals’ as this can damage the value of your services, not to mention being a source of aggravation. One exception is to text when you have a cancellation to let your clients know there is an opening. Be careful that you don’t do this very often. Social Media: This is a great way to give your clients value. Tweeting or posting each day with health tips and information about massage is a great way to stay visible and remind your clients that they need a massage. Email Marketing: By far this is the best way to stay in contact with your clients and build your base of customers. There is no better way to provide value to your clients and remind them that it’s time for a massage. I use ConvertKit for all my email marketing, and they are by far the best. One Last Note: It is very tempting to use deals and discounts to get clients to re-book with you. While there are aspects of this that can work, you run the risk of damaging the value of your services. It’s a much better idea to stay connected to your clients passively by giving them additional value. If you do this effectively, they will be calling you to schedule. Email marketing is a great way to build your customer base and stay connected to your clients. If I had to choose only one way to stay connected to my customers, it would be with email marketing. I have used several email marketing companies over the years but Converkit is the best and the only one I use now. 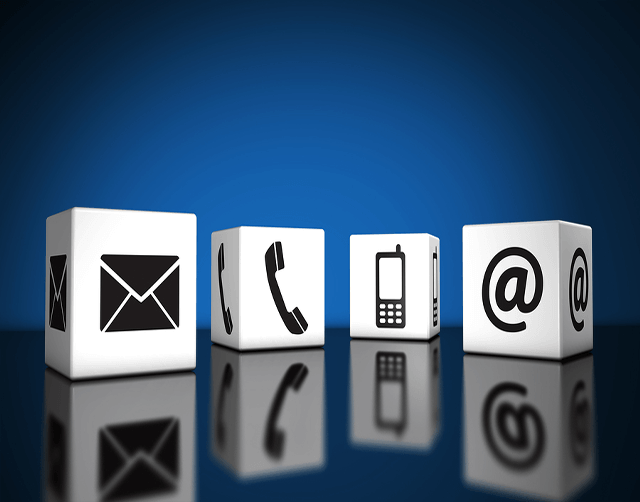 Having a separate business phone is a really good idea for keeping personal calls separate and for staying organized. Google Voice is a free program that I have used for years. 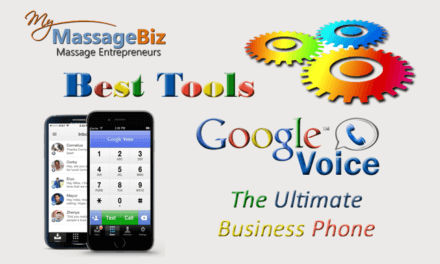 Check out my article, ‘Best Massage Business Tools: Google Voice’ for more information. As a massage entrepreneur, it’s important to understand your advantages and disadvantages in the marketplace. 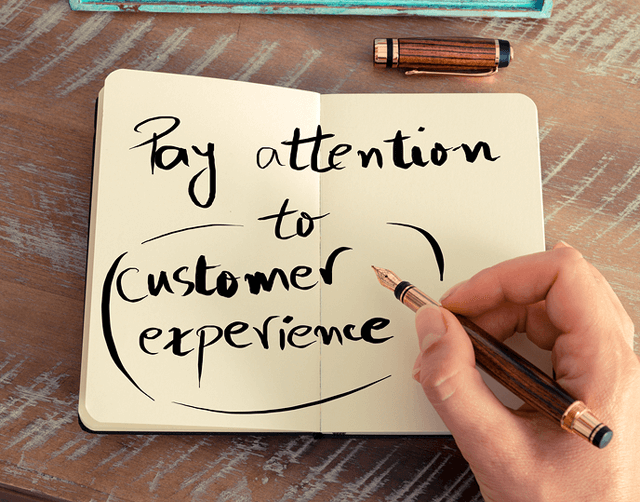 Your main advantage is that you have total control over your customers’ experience. From the moment they visit your website or meet you at a networking gathering to when they pay you after their massage, you are in control of what they see and feel. 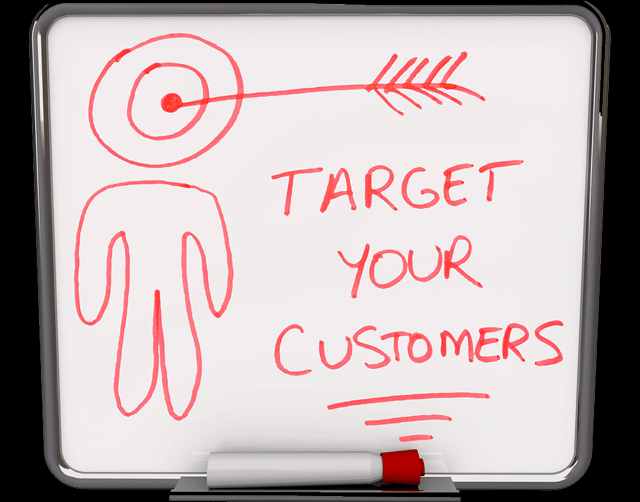 This gives you the ability to totally personalize what they experience and is a great advantage that you have over your competitors. Many massage entrepreneurs try to compete directly with the corporate franchise massage businesses that dominate our industry. This is a big mistake and almost impossible to accomplish. Price: They can offer lower pricing because of the volume of business they do. Convenience: The ability to book a massage at the last minute is a big advantage. Marketing Resources: They have the money to dominate the marketplace. Consistent Quality: It’s more difficult for them to give consistent quality massages because of the number of therapists they manage. Personalized Experience: More of a cookie-cutter approach with less ability to concentrate on the individual need of the customer. I created this website to help massage entrepreneurs, like you, to start and grow their businesses. The tips, tools, and community interaction can help you seize on the advantages that you have to build a successful and fulfilling practice. This site is here for you to use and interact with. I will continue to create content that I hope will help you on your journey. Stay connected by signing up to my newsletter, and feel free to contact me if you have questions. The most important step that you can take to increase your chances of success is to create a support structure. Surrounding yourself with other like-minded entrepreneurs can help you stay accountable and get you through the road blocks. It can have a dramatic effect on your ability to move toward your goals and stay on track. Having other massage entrepreneurs around you, whether you are in a mastermind group or an online community, can be the support you need to reach your goals. What can a support structure do for you? Find out what is working. Find out what is not working. Members help you stay accountable to get things done. Get tips on the tools everyone is using. Once you join a support community, you will probably ask yourself, “Why didn’t I do this sooner?” It can be a life-changing step. Stay in touch with the MyMassageBiz Newsletter. Get the latest tips, tools, and articles that will help you build your successful and rewarding business.